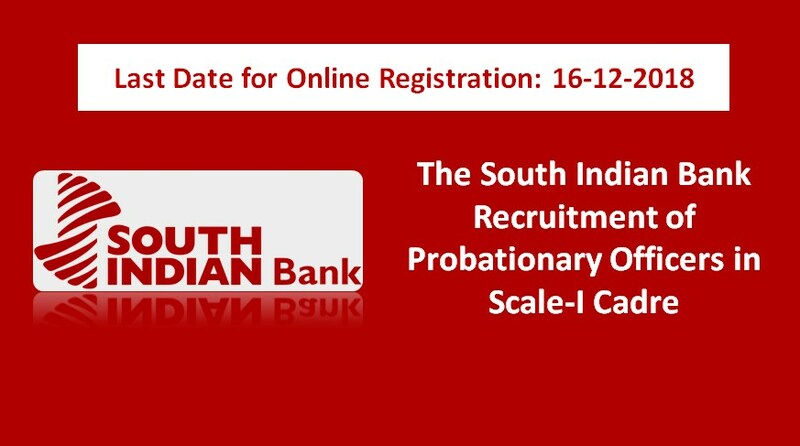 South Indian Bank invites online application for Probationary Officers in Scale-I Cadre. It’s a good opportunities for those candidates who are interested in banking jobs. Read all banking notification carefully before applying. 10th, 12th/HSC & Graduation with minimum 60% marks under regular course. E. Pay Scale: INR 23700– 980/7 – 30560- 1145/2 – 32850- 1310/7 - 42020 plus DA, HRA & other. G. Application Fees: INR 800/- for general category and INR 200/- for SC/ST category. H. How to Apply: Visit The South Indian Bank official website and apply online.